Welcome to the Divya Shanthi Mission Support (DSMS) website. 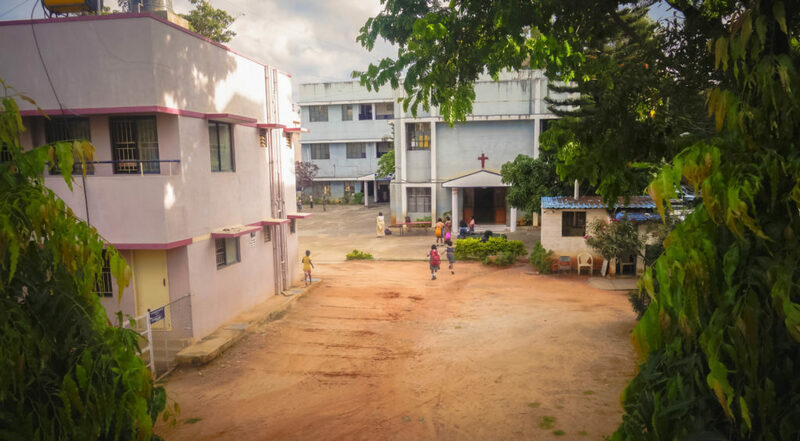 We’re a very small UK charity that exists to support Divya Shanthi Christian Association in Bangalore. We are always grateful for more sponsors and supporters: even if you can only give a few pounds, it makes a big difference. During the past few years, we have run two successful appeals to fund-raise for specific purposes. We have met our goal of raising £5,400 to provide three years’ funding for a dedicated youth worker at Divya Shanthi in Bangalore. A young woman has now taken on this role, and the youth ministry at Divya Shanthi is thriving. We are delighted to have not only met but considerably exceeded our goal of raising £12,000 to provide loans for sixth-form college and university students in Bangalore. We have now raised in excess of £22,000. The students being supported by the Hazel Sargeant Memorial Fund are bright, hard-working young people who’ve done extremely well at Divya Shanthi High School … but their families cannot afford the tuition fees needed for further education. Hazel Sargeant was instrumental in setting up Divya Shanthi Mission Support after a visit to Bangalore in 2000 with her husband Peter. She had especial compassion for the children with whom Divya Shanthi works. You can find out more about the fund here.